US auto giant General Motors and Seoul have agreed on a multi-billion-dollar bailout for the firm's troubled South Korean unit, a government minister said Thursday. GM is the largest US automaker and one of the biggest players in the global industry but its South Korean subsidiary is loss-making and has seen production fall by almost half in the last decade. 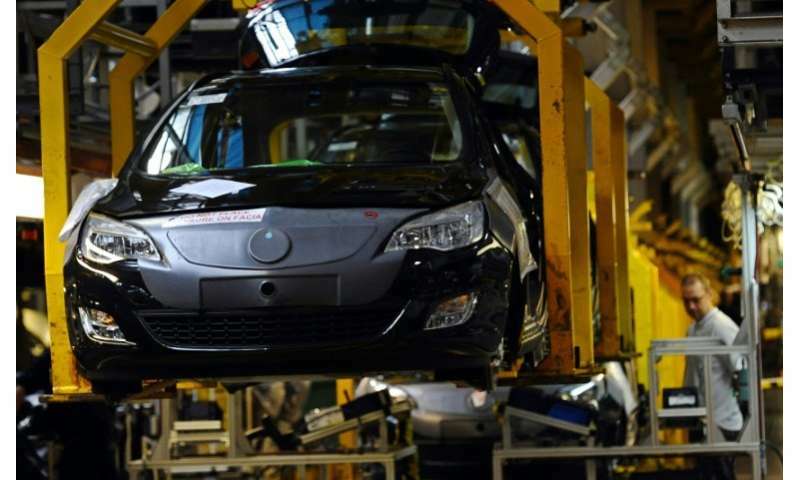 Earlier this year GM Korea announced a plan to shut down Gunsan, one of its four plants in the country, and lay off some 2,000 personnel, sparking a prolonged strike and negotiations with the authorities. Workers and management reached a deal last month on job and welfare payment cuts and a wage freeze across the firm, paving the way for Thursday's announcement. The US parent will inject $6.4 billion into GM Korea and the state-owned Korea Development Bank (KDB) will plough in another $750 million, finance minister Kim Dong-yeon told journalists. GM will invest $2 billion in facilities over 10 years and spend $1.6 billion on corporate restructuring and operational costs. An existing $2.8 billion loan to GM Korea will be converted into preference shares, saving the unit 150 billion won ($110 million) in interest every year. GM currently owns 77 percent of GM Korea and KDB has a 17 percent stake, with the remaining shares held by China's SAIC Motor. The firm was rebuilt from the wreckage of local automaker Daewoo, which went bankrupt in 2000. But production has fallen from 940,000 cars in 2007 to 520,000 last year, when GM Korea lost some $139 million in South Korea. "We hope that GM Korea carries out this bailout package faithfully so that it may become a success story," Kim said. "If GM Korea fails to turn around, 150,000 jobs will be threatened and some 3,000 suppliers will be in difficulties," he added. Under the deal, GM will remain in South Korea for at least 10 years, with KDB regaining veto power over GM's rights to sell assets in the country. GM also pledged to allocate two new models to its Korean plants. In its first-quarter results last month GM took a $942 million hit for the cost of closing the Gunsan facility.